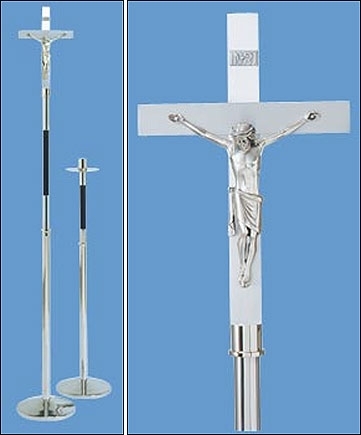 Stainless steel with 10" x 16" aluminum cross. Ideal for funeral liturgy. Top section 44" H with black delrin shaft and weighs 3 1/2 lbs.